This how to will explain how to setup a guest network using the captive portal. Guest Networks are widely used to allow guests controlled internet access at hotels, RV Parks or businesses. 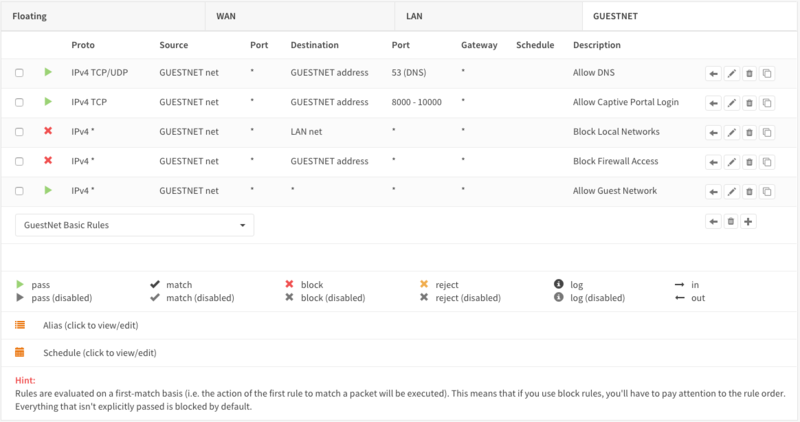 For the example we expect the GUESTNET interface to be connected with your actual guest network switch or access point. This tutorial does not explain how to setup a wireless network. Businesses usually want to share internet access with their guest and show them a landing page with a welcome message and some usage guidelines (policy). At the same time it is important to make sure guests won’t be able to access the company’s local network and limit the maximum internet usage. 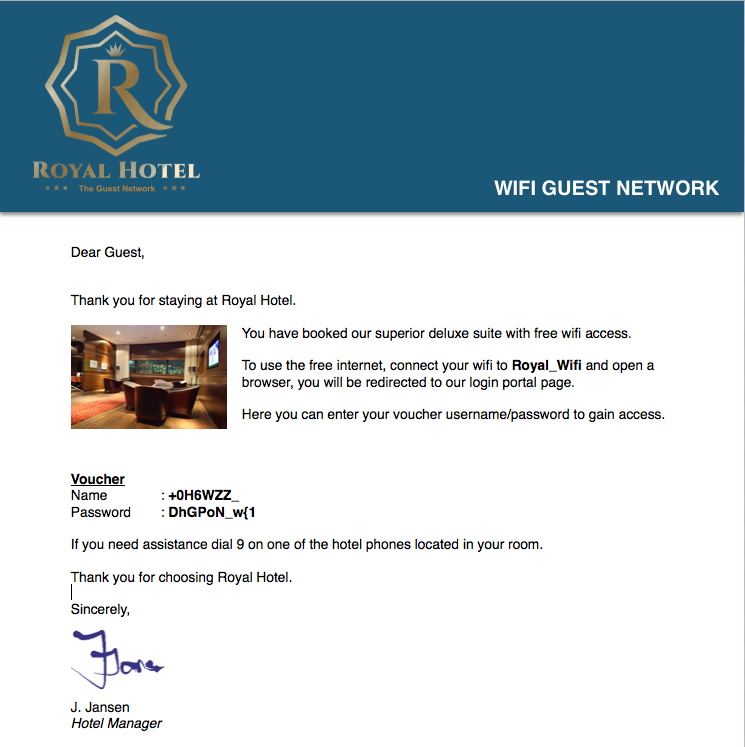 Hotels and RV parks usually utilize a captive portal to allow guests (paid) access to internet for a limited duration. Guests need to login using a voucher they can either buy or obtain for free at the reception. OPNsense has built-in support for vouchers and can easily create them on the fly. With this example we will show you how to setup the Guest Network for this purpose and setup a reception account for creating new vouchers. The Captive portal can also be combined with the category based web filtering of the proxy. This tutorial will explain how to combine both features. We will start configuration with a fresh OPNsense install, updated to the latest patch level (16.1.5_1 in our example). You will need a system with a minimum of 3 ports (LAN/WAN/GUESTNET) for this tutorial. As the Hotel/RV Parks setup is almost identical to the business setup we will start with that and after finishing add/change the specifics to match the Hotel Guest setup. For the Guest Network we will add a new interface. Go to Interfaces ‣ Assignments And use the + to add a new interface. Press Save. The new interface will be called OPT1, click on [OPT1] in the left menu to change its settings. Press Save and then Apply changes. Go to Services ‣ DHCPv4 ‣ [GUESTNET]. Go to Firewall ‣ Rules to add a new rule. These rules are used to block access to our local LAN network and firewall access from the Guests. If you have multiple local networks then you need to block each of them with multiple rules or use a bigger subnet to cover them all. To add a new Zone press the + in the lower right corner of the form. When using multiple interfaces with the captive portal then each interface can have its own zone or multiple interfaces can share a zone. The template feature is one of the most powerful features of OPNsense’s Captive Portal solution and it’s very easy to work with. Let’s create a custom landing page, to do so click on the tab Templates and click on the download icon in the lower right corner ( ). To do so use your favourite editor and open the index.html file to make the changes. Copy the company logo to the image directory. Now zip the template directory and upload the new template by pressing the + on the Template tab. To enable the captive portal on the GUESTNET interface just click on Apply. For our example we will reserve 10 Mbps down and 1 Mbps Up for the Guest Network’s Internet Access. This bandwidth will be shared evenly between connected clients. Go to: Firewall ‣ Traffic Shaper ‣ Settings. Click Save changes. And add another pipe for the upload traffic. Create the traffic shaper rules. Click on the tab Rules and press the + to do so. Now click on Apply to apply the changes. Connect your PC or laptop to the Guest Network and start your favourite browser. 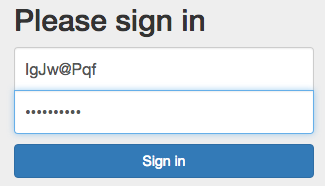 Enter an address to browse to and you will be presented with the Login form we created with the template in the previous step. Click on login and start browsing. To test your traffic shaper go to a speed test site such as http://www.speedtest.net/ After testing your result should be similar to this (if your internet connection has sufficient bandwidth). Keep in mind we have only one connected client in this test, so all reserved bandwidth will be available for our client. From this point we will implement the Hotel/RV Park solution. You need to follow step 1-7 first and choose the template you like to use for your guests. This example will be for our “Royal Hotel”. To add a Voucher Server go to: System ‣ Access ‣ Servers and click on Add server in the top right corner of the screen. Go back to the Captive portal and select Vouchers (Services ‣ Captive Portal ‣ Vouchers). 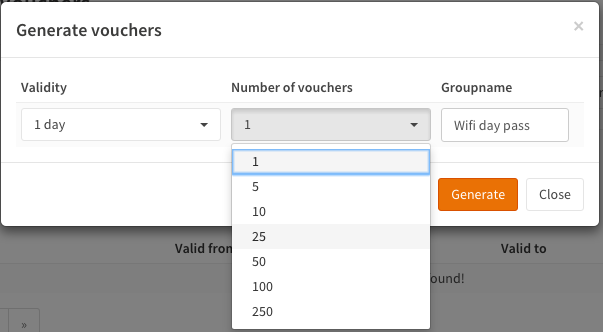 Click on Create Vouchers in the lower right corner of the form. Enter the Validity (1 day), the number of Vouchers and a Groupname (Wi-Fi day pass, for example). For the example we create 10 vouchers. Click on Generate. For security reasons the plain text passwords for the vouchers are NOT stored on the firewall. This file can be used for creating nice guest vouchers (on paper) by just merging the CSV data with Microsoft Word, LibreOffice or any other DTP/text editor. You can select a database to and remove it entirely. This way you can create a voucher database for the arrival date of guest per guest group (week, midweek, weekend, etc.) and delete the full database when the guests have left. Enable the voucher authentication by changing the zone settings. Go to the tab Zones and select the Guest Network by clicking on the pencil icon right next to it. Change Authenticate using from an empty field to Vouchers. When done click Save changes and the Apply to apply the new settings. You can drop an active session by clicking on the trashcan. Notice the selection box at the upper right corner, with this you can select the right zone when you have configured more than one. You can check the validity and active status of a voucher by going to the voucher page of the captive portal (Services ‣ Captive Portal ‣ Vouchers) and select the correct database (Wi-Fi day pass in our example). The state valid means it is activated but still valid. 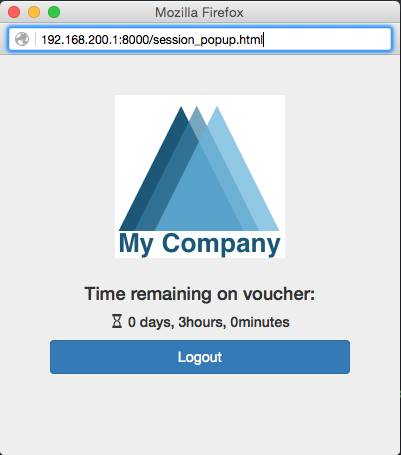 Let’s create a Session Popup so users can see some details about their session and Logout. For this feature we will use OPNsense’s built-in API calls. OPNsense has a very powerful CLI that is particularly useful for debugging purposes. For this example we will use the cli to list the status off all active sessions.